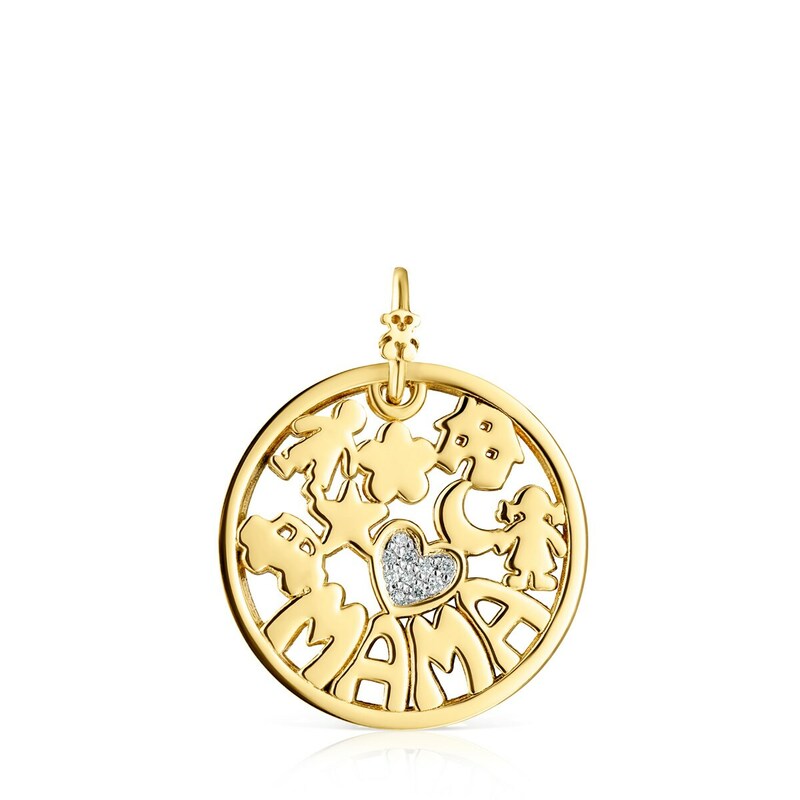 TOUS Mama pendant in 18kt yellow gold and diamonds. Total weight: 0.04ct. Size: 2.2 cm. Does not include chain.